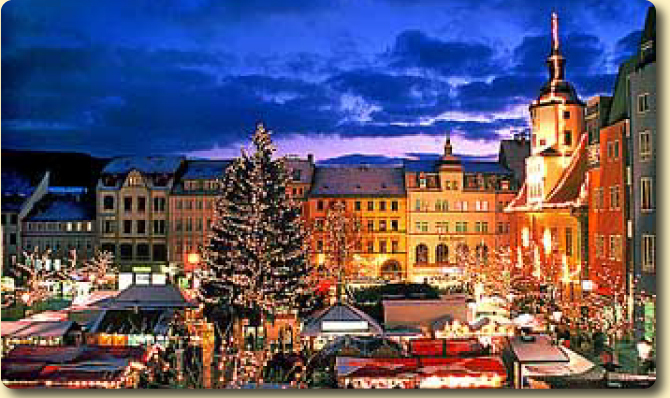 Located in the very heart of Freiburg's beautiful old historical quarter, the Freiburg Christmas Market is held on the Rathausplatz, the Franziskanerstraße, the Unterlindenplatz and on the Kartoffelmarkt. 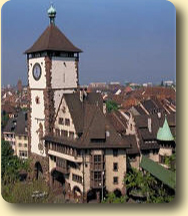 Freiburg is a town of beautiful squares. The largest square is the Münsterplatz which is dominated by its minster and a 116-metre high Gothic tower. 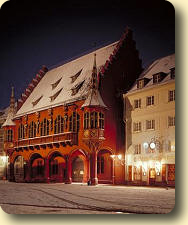 The main sight to see on the Münsterplatz is the Historical Merchants' Hall from 1532 with its deep-red facade and colourful corner towers. The Augustinerplatz is the other central square in the old town. Overlooked by an Augustinian abbey and the ruins of the town wall, this is a popular rendezvous for locals. Oberlinden and Unterlinden are two rather more peaceful squares, and both have a beautiful old lime tree as their centrepiece. True connoisseurs of Freiburg describe pretty little Adelhauser-Platz, which lies away from the beaten track, as the most beautiful square in the town. 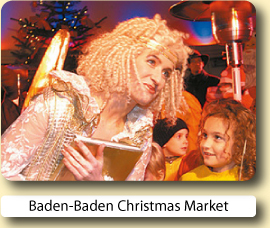 The Freiburg Christmas Market offers visitors a wide range of traditional arts and crafts from the Black Forest region, including straw shoes and colourful wooden toys. The highlight being the candle workshop where visitors can watch real beewax candles being made to order. 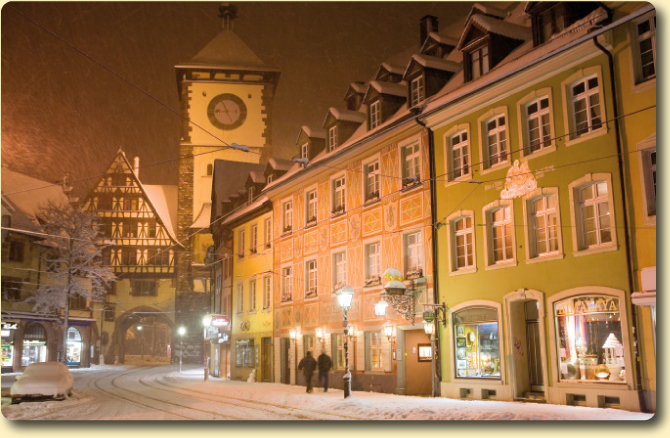 Freiburg is located on the edge of the Black Forest and forms the centre part of one of Germany’s most attractive holiday regions. importance. The 116-metre tower of this impressive red sandstone construction is clearly visible from afar and is often referred to as ‘the most beautiful spire in Christendom’. Around the minster, the Old Town enchants with its colourful market squares and a wealth of impressive historical buildings, dating back to various historical periods. 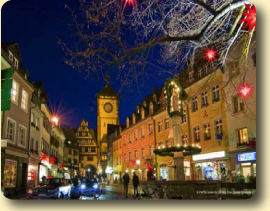 Here in Freiburg tradition and modernity coexist in pleasant harmony. 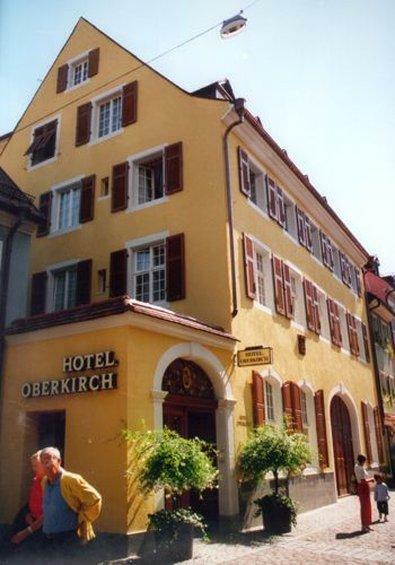 This hotel is located on the central square of the town, right next to the cathedral. The rooms are charming, comfortable and spacious.The service is amazing. Really charming hotel, super clean and even seemed renovated. Everything was practically perfect. Ideal for the centre of town. Everything you need is close by.The hotel itself was clean, the rooms good and the staff friendly. 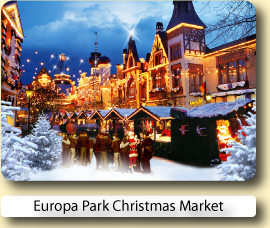 Book your hotel for the Freiburg Christmas Market with Expedia or Hotels.com.Both online reservation services will let you compare and book hotels at great low prices.